Are you living your life to its fullest potential? 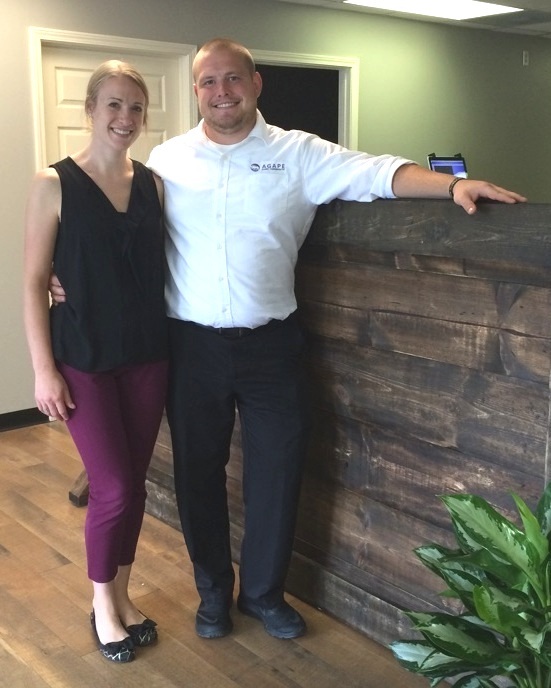 Eureka’s most reviewed chiropractic office! At Agape Family Chiropractic we pride ourselves in being a family friendly practice and value the health of both children and adults alike. Chiropractic is especially important for children as they develop to provide a strong immune system and create a sturdy foundation for their future health. We have helped many people with anything from back and neck pain, to more complicated issues like migraines, allergies, tinnitus, insomnia, digestive issues, vertigo, chronic fatigue, hypertension and numbness/tingling. Check out our new patient special to see if we can help you! Apart from being a family oriented practice, the office provides you with a sense of relaxation and comfort. Our staff goes above and beyond to ensure you feel at home from the second you enter the door. To ensure your best results we utilizes the most up to date, specific, and objective tools available when caring for patients. Agape Family Chiropractic puts a specific focus on an area of the spine called the Upper Cervical Spine. Inside the Upper Cervical Spine is you brainstem, which controls every automatic function and response in the body, such as pain, sleep, digestion, blood pressure, heart rate, body temperature, and many more. When the brainstem and the body are able to communicate with each other freely and at 100%, you are able to live life to it's fullest! Watch this video to learn what you can expect during your first and future visits at Agape Family Chiropractic. What do people have to say about our office? As you know, most chiropractors focus on reducing muscular tension, increasing range of motion, and providing temporary relief of pain. While that is all well and good, at Agape Family Chiropractic we take things a step further. We focus on your Nervous System's Function in order for people to discover their God given health. Sign up to receive special offers and newsletter. We hate spam too... So we promise not to spam you!